Davido’s Atlanta-based girlfriend, Amanda, has just shared a photo of her baby bump. Amanda took to Instagram today, April 18, 2017, to share a shot of her growing baby bump. Recall that on March 3, 2017, Davido confirmed he was expecting his second child Amanda. He revealed the happy news during a live interview on BEAT FM. As earlier reported, the 24-year-old’s baby will be due in April or May this year. 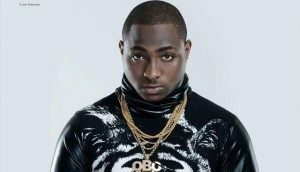 Meanwhile, Davido has been sending mixed signals with his relationship with first baby mama, Sophie Momodu. The ‘If’ singer has been busy sharing photos of Sophie on social media even going ahead to drop subtle hints. On Mothers day, Sunday, March 26, 2017, Davido gave Sophie a shout out and took her out for lunch along with Imade. The trio were out like one big family, enjoying some quality time out. Sophie was seen feeding Imade while Davido carried her.